The brainchild of Brit-pop wunderkind Damon Albarn and comic book artist Jamie Hewlett, Gorillaz appeared to be a side-project wrapped in a marketing gimmick. A fake band of anime monkey-kids, are you joking? I distinctly remember thinking Gorillaz was all flash and no substance when the band’s music video for “Clint Eastwood” was all over MTV. Eventually I sat down and listened to GORILLAZ and to my surprise, the music was stranger than I’d been lead to believe from that first single. The songs skewed heavily towards electronica and hip-hop, two genres I wasn’t particularly fond of at the time. I gave up on the album after only one listen and didn’t return to it again until after the band’s second album came out. I think my biggest gripe with the record was a matter of expectation. I’d been sold an album by the dude from Blur…but GORILLAZ turned out to be far removed from the classic Brit-pop mold. Since that first listen I’ve decided that the album’s fusion of genres, the thing that initially turned me off, is ultimately what makes GORILLAZ such a monumental masterwork. In addition, the first Gorillaz album was my gateway to hip-hop/rap: this album literally expanded my horizons. While the fake band aspect of Gorillaz might seem like just a ploy, I think it’s an integral part of how GORILLAZ ended up being so special. Free from the shackles of Blur, Albarn’s little side-project was a ticket to artistic freedom. Surrounded by a small army of producers, musicians, and rappers, Albarn felt more comfortable operating in a skin that wasn’t his own. The goofy cartoon facade allowed him to let his freak flag fly. It also expanded the very definition of who “the band” was, allowing for more people to participate in the recording of the album than a typical four piece band. GORILLAZ opens with “Re-Hash,” a song that sends up the notion of pursuing fame and money. I find it no coincidence that of all the songs on the album, “Re-Hash” is the one that sounds the most like Blur. From the beginning of the album, Albarn is casting aside his former artistic identity. After this opening the album descends into Trip-Hop, a fusion of hip-hop and electronica. “Clint Eastwood” works as a great single because the band was able to distill the band’s cross-cultural fusion into a tasty pop treat. 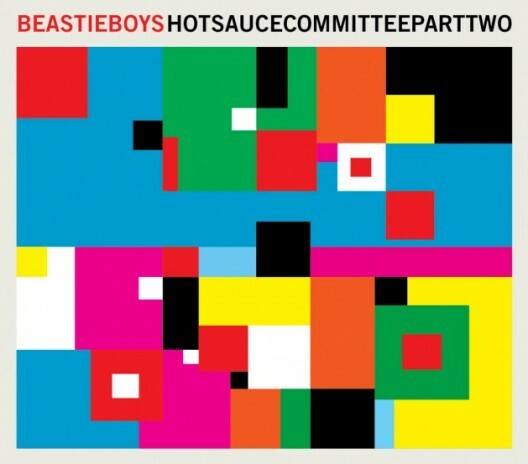 With Albarn’s indie-rock hook and Del tha Funkee Homosapien’s rapping how could the song not have been a massive hit? Add a visually striking music video and you have the makings of a monster. When the video premiered I remember having great difficulty going more than a few hours without seeing it on TV. And while not as daring or genre bending as some of GORILLAZ’s other tracks, “Clint Eastwood” gently lowers your defenses while at the same time serving as fair warning for what the rest of the album would contain. “Man Research (Clapper)” comes next, and for me this is where the album truly starts to get interesting. This droning dance track is lyrically very dark (“to kill the model from my front door”) but features an upbeat tempo and a screeching “yeah!” refrain that belies the song’s violent purpose. The quick, but effective “Punk” follows, blasting the listener out of the techno trance of “Man Research (Clapper”)”. A surprisingly straightforward punk song, “Punk” adds yet another genre to an already complex album. Once again the album quickly changes gears: “Sound Check (Gravity)” opens with Albarn softly lamenting gravity before descending into a cold, electronica groove of looping samples and record scratches. The effect is disarming, especially when Albarn sings with himself near the end of song—his depressed lower register doing a duet with his falsetto. The song ends and GORILLAZ offers up “Double Bass,” the album’s only instrumental. Like the title suggests, the song is a spacey, bass heavy little ditty. And while it’s the closest thing to filler on the album, this song is also one of my favorite tracks. In fact, I wish that there were more short instrumental interludes like “Double Bass” on GORILLAZ. “Double Bass” makes a great transition into “Rock The House,” the second rap-heavy track that features Del tha Funkee Homosapien. The repeated horn loop, taken from a jazz song called “Modesty Blaise,” and the carefree lyrics make “Rock The House” the first truly fun song on the album. This lightness remains for several more tracks, such as the dubbed out “19-2000″ and the Spanish(?) “Latin Simone (Que Pasa Contigo).” The second single off the album, “19-2000” is notable for featuring Japanese singer/guitarist Miho Hatori. Her presences adds yet another cultural touch to an already global album. GORILLAZ then begins to descend back into darkness, first with the moody “Starshine” and then with the up-beat sounding but depressing “Slow Country.” The album then goes full-on dark with the aggressive “M1 A1,” a punky companion to the earlier “Punk.” It is here that album officially ends, however different regions got different bonus tracks tacked onto the end. The U.S. version of the album continues with the reggae/ska-tinged “Dracula” which full of both funk and gloom. 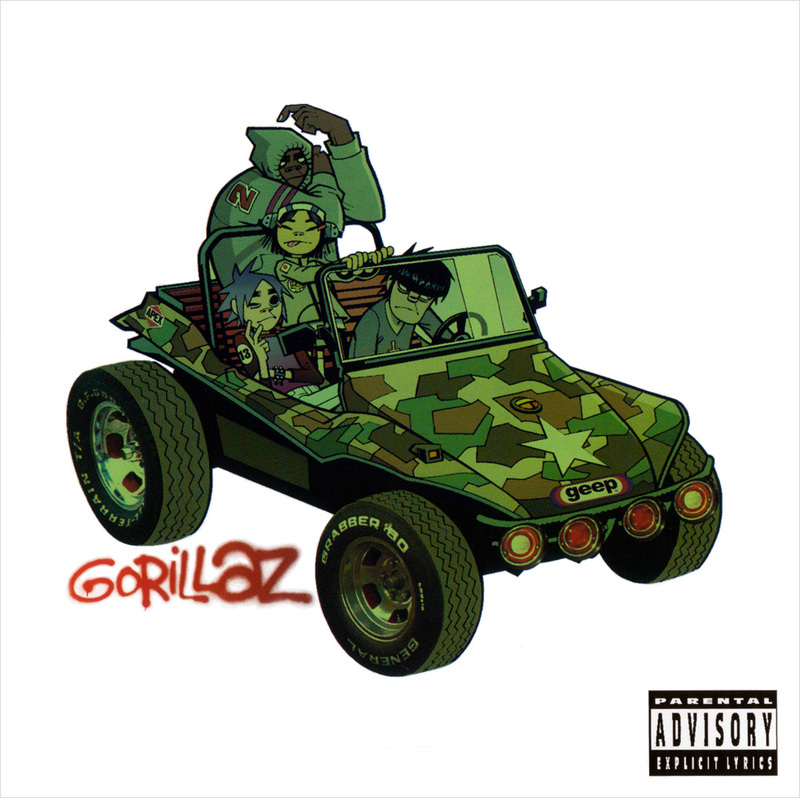 The album then wraps up with the East-meets-West mash-up “Left Hand Suzuki Method.” The song’s title, a reference to a famous Japanese method of Violin instruction, echoes the philosophy of GORILLAZ: taking the usual manner of making music and doing it just a little different. The album’s emotional shape, a parabola of dark to light and back again to dark, gives the album more concept than many so-called concept albums. What could have been a goofy one-off ended up being the most artistic album of Albarn’s career. Gorillaz liquid line-up allowed the band to grow and morph several times over on both the album and on subsequent records. Always keen on staying one step ahead of mass-market appeal, Albarn’s first Gorillaz record succeeded in being edgy, diverse, and fun. The album is weird without being weird for the sake of being weird, something that future Gorillaz records would wind up becoming. I think the level of innovation and artistic daring on display on the album is somewhat lost to history. Compare GORILLAZ to the top two best selling albums of 2001, HYBRID THEORY by Linkin Park or HOT SHOT by Shaggy, and suddenly the fearless daring of Albarn’s album becomes apparent. The legacy of GORILLAZ is a world in which genres such as rap, rock, and world music flourish and feed off each other’s creativity in the mainstream. I’m not suggesting that GORILLAZ was the first time all of these styles commingled, but I do think it was the first successful commercial and artistic fusion of so many different styles and cultures. And while the lines of genre weren’t forever torn asunder, they were moved to brilliant effect.